Top Ten Tuesday is a meme created and hosted by The Broke and the Bookish. This week's topic is: Top Ten Books on my Fall TBR. Since I have been pretty faithful with Top Ten Tuesday lately, I remember posting the Top Ten Books on my Summer TBR and unfortunately, I only read a total of 5 out of the 10 on that list. However, there are still so many books releasing and books waiting for me to read. Snow Like Ashes by Sara Raasch: The sequel is coming out on October 13 and I've heard so many awesome things about this one. Welcome to Night Vale by Joseph Fink and Jeffrey Cranor (10/20): Last year, in college, my dorm-mates would gather in our common room to listen to the most strangest podcast we've ever heard. After some research, I heard the creators were also writing a book, of the same name as the podcast, to accompany the work. I had the pleasure of meeting these two authors at BEA this year and told them how the podcast brought our dorm together. Can't wait to read this one! Soundless by Richelle Mead (11/10): Richelle Mead! New book! Retelling of a Chinese folk legend! Yes! Illuminae by Amie Kaufman and Jay Kristoff (10/20): Similar to The Dead House, Illuminae is filled with letters, documents, and texts. It's not written in the traditional format. Awesome! As much as I'm not a fan for science fiction, this one is too cool to pass up. 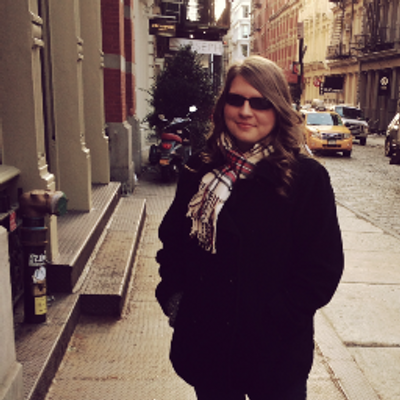 The Good Girl's Guide to Getting Lost by Rachel Friedman: I'm going through this phase where all I want to do is travel. Going to South Korea last August was a fantastic start to something but since then, I've got bitten by the travel bug. This is a memoir I've been wanting to read about a girl who finishes college (just did that) and travels to Ireland on a whim (wish I could- maybe I can). Infinityglass by Myra McEntire: A few weeks ago, for Top Ten Tuesday, we talked about how many book series we have to accomplish and I only need to read this one and I'm done with the series. I have faith; I can do this. Until We Meet Again by Renee Collins (11/3): I love some good time travel and some good romance! Can't wait for this one to release! P.S. I Still Love You by Jenny Han: I finished the first book over the summer and loved it so much that I went straight out and bought the sequel. Alas, there is sits on my shelf, waiting. It shall wait no longer! 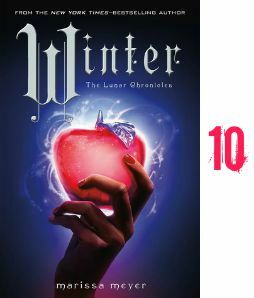 Winter by Marissa Meyer (11/10): Okay, first can we bask in the ironic nature of this. Winter is on my Fall TBR. You can bet that on November 10, I will be running to the book store for the last and final book of the series! Good choices! I can't wait for Winter either :) And P.S. I Still Love You is cute, but I think I enjoyed the first one much more! Happy reading! Some great choices! I'm also excited to get to the Welcome to Night Vale book (I've been listening since they started, so excited to get this book), and also Illuminae looks strange and lovely. Thanks for stopping by my blog, have a fantastic day! Snow Like Ashes is one I'd like to read as well, though I doubt I will get to it this autumn.